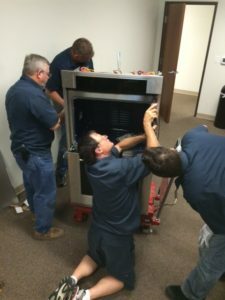 When you think of an appliance technician, what probably comes to mind is someone with a truck and a toolkit who goes to a home to repair a stove, refrigerator or washing machine then leaves. We’d say you were right…and also wrong. Most appliance repair techs are self-starters who are time management experts. After they receive their list of clients for the day, it’s the techs, not the company they work for, who have to schedule appointments. Most repair companies will tell their clients to expect service either in the AM or PM. While variables like weather and traffic can sometimes delay a C&W repair response, our techs always strive to be at a job site within a shorter, more precise window. Appliance repairmen need to have mechanical aptitude. A basic knowledge of physics, electricity, plumbing and building codes comes in handy as well. But not all techs have a skill we think is crucial: communication and customer service skills. 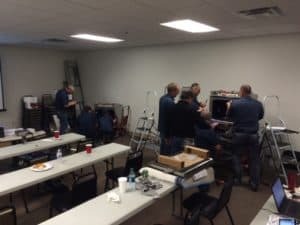 When we hire our techs, we select individuals who know how to listen to clients and their concerns and act on the information they’re given to help diagnose problems. We also look for people who have a basic understanding of electronics and electronic circuitry, since the appliances we service use the latest in smart technology. Some repair techs, like those who work with refrigerators, have to earn special licenses before they can receive assignments. Appliance technicians do not. All C&W repairmen can work on refrigerators. Some among them have a license to remove refrigerant and the components that hold it. Our new hires often come to us with job experience and licensing in these areas. 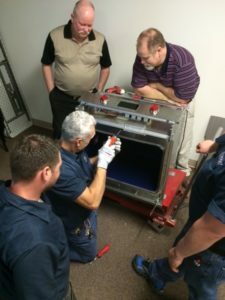 Nevertheless, C&W still requires that all new employees get on-the-job training with master repairmen, which can last anywhere from 4 to 8 weeks. That way, they get to see everything from the repair and service standards expected to what to takes to keep a truck stocked and organized. Most jobs require workers to attend professional development workshops to stay on top of the latest trends in their field. The appliance repair industry is no different. 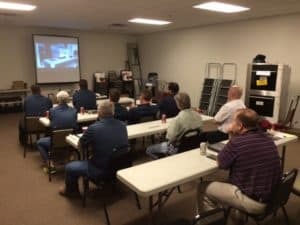 Because the machines C&W services are state-of-the-art precision instruments that are both mechanical and electronic, our technicians attend 4 to 6 yearly professional development workshops sponsored by the manufacturers whose appliances we service. That’s in addition to the weekly meetings C&W sponsors to go over any procedural and/or technical concerns. C&W technicians are repair specialists trained to work precision home appliances by such manufacturers as Sub-Zero, Wolf, Broan, Asko and Scotsman. For appliance repair professionals who will give you the customer service that has been our trademark for over 60 years, contact C&W Appliance Service today!